As mentioned in part one of this two-part series, the actual roots of Celtic Witchcraft are obscured by numerous cultural influences over long time periods. Furthermore, the lack of thorough details concerning the beliefs of the pagan Celts complicates matters. Left with the accounts of Christian writers and the commentaries of the Greeks and Romans, we catch only a glimpse of the faith practiced by these people from the mists. Considering the surviving seasonal celebrations, the pagan nature of various folk customs, and the confessions of Irish and Scots accused of Witchcraft, perhaps the remnants of our Celtic heritage may shine through, albeit in a light different than that of the mythos modern pagans have proposed, allowing for a greater richness in the development of Celtic cosmology and our understanding of our Celtic roots and bones. In the land of Gaelic goddess of sovereignty, Eriu, a tribe of ancient deities who were Danu’s children lived in a twilight world of eternal summer where they remained forever young. Called the Tuatha de Danaan (pronounced tooha day dahnarn), the Tribe of Danu, this Irish pantheon is the only Celtic one known. They taught various crafts and provided their descendants with labor. Ancient earthen mounds, lakes and springs, certain groves, and an island far off in the western seas were their gateways between the divine and mortal realms— the veil between divinity and our ancestors was thin. Most archeological evidence suggests worship of highly localized deities, but not organized along family lines or by clans. Among the deities was a tribal protective father called a teutates (tribal father). Sucellus (the “good striker”) is an example of a paternal figure who carried a hammer and pot, similar to the Irish Daghda (pronounced dargda) who carried a club and cauldron. The same god may have been known as Donor, Thunor, and Thor across the Rhine, as both Celtic and Germanic people worshiped protective, fertile father gods. Partnered with the tribal father were the regional mothers who were known by area-specific names. Nantosuelta (winding brook) is the Gaulish “mother” mated with Sucellus, although both deities are also represented alone, emphasizing their individual importance. The concept of the triple mothers was the product of Teutonic, Roman, and Celtic influences. The Matrones were linked to fate, health, fertility, and protection. As well as being worshiped in domestic settings, the divine mothers were beseeched by Roman soldiers and Gaulish and Germanic auxiliary troops in their moments of need. Images of the mothers are found in the British west country, southern Scotland, Gaul, and the Rhineland. In Romano-Britain, the mothers are associated with the genii cucullati (triple gods) often portrayed as her defenders. Depicted as hooded figures, the fertility of the genii cucullati was emphasized by phallic imagery and the eggs they carried. Three was considered a sacred number, nine being the most powerful of triplicities. Examples of the use of threes and nines can be found not only in the representations of deities, but also in Welsh and Irish literature. Some examples follow. Upon landing on Irish soil to lay claim to it for his people, Amergin, the chief Milesian poet, encounters three goddesses: Eire, Fodla, and Banba (pronounced eroo, fowla, and banva, respectively) who personified the countryside. Amergin promises each goddess he will name the land after her if the Milesians can settle in the country of the Tuatha de Danaan. Because of the insincerity of the offer, the sons of Mil are driven from the hill of Tara. After setting sail on the Irish sea, the poet turns around beyond the ninth wave and returns, his poetic incantation creating magick powerful enough to aid his fellow tribesmen in wresting the island from the Tribe of Danu. Another example, the Welsh Triads ( Trioedd Ynys Prydain), are a teaching device that use three references to illustrate a point. For example, a person is three things: what they think they are, what others think they are, and what they really are. Nines are prevalent, too. Blodeuwedd, the flower maid, who appears in the Welsh text The Mabinogion and the poem “Cad Goddeu” attributed to Talesian, was created by the British magicians Math and Gwydion out of nine different flowers and roots, and water from the ninth wave. She was intended to be a bride for Lleu Llaw Gyffes (pronounced hleeow hlow gufess), Arianrod’s son. A queen and enchantress, Arianrod placed three taboos on him: never to bear arms, never to have name, and never to marry a woman mortal born. In the tale of the well of Segais, or the Irish well of wisdom, there were nine hazel trees that dropped their nuts into the pool feeding the salmon of knowledge. Nine sisters carried off the once and future king in the Arthurian tales to Avalon. The cauldron was a important symbol across Celtic Europe from Ireland to the north of Greece for more than a thousand year period and was associated with both gods and goddesses in religious art and later in post-Christian writings. Part of the Welsh canon, the Book of Taliesin is a 13th-century manuscript that tells of a supernatural woman named Ceridwen who keeps a cauldron of inspiration, wisdom, and regeneration. Ceridwen has a daughter, Crearwy (light), and a son, Affagddu (dark), the two polar aspects of creation. Affagddu is ugly and to compensate for her son’s deformity, Ceridwen brews a magickal potion in her cauldron that will bestow vast wisdom on him. But Gwion, a boy who was guarding the brew, when scaled by three drops of the liquid, licks his fingers and receives the wisdom meant for Affagddu. Enraged, Ceridwen chases Gwion and both shapeshift into various animals until Gwion becomes a kernel of corn which the enchantress, now a hen, consumes. Ceridwen becomes pregnant and nine months later gives birth to Taliesin (Radiant Brow). Some speculation suggests the cauldron led to the development of the Grail legends. Although this theory has some credence, the cup is equally as old of a religious icon, as observed in the sovereignty rites between the Kings of Ireland and the Goddess of the land. Cups of plenty have appeared as archeological evidence during the Romano-Gallic period in Gaul. Cauldrons were popular as propitiatory gifts in bogs, marshes, and fresh water sources, the Cauldron of Gunderstrup being the most famous of such finds. Was reincarnation a part of Celtic beliefs? According to Roman accounts, the Celts possessed such dogma; however, the Irish and Welsh tales speak of a divine Otherworld associated with the Faerie folk who evolved out of the ancient goddesses and gods after the coming of Christianity. Does this contrast a doctrine of rebirth? Do people go on to be Faeries or do they become ancestral apparitions as mentioned in the folk traditions of many districts of Brittany and the British Isles? There is little evidence of a coherent belief in reincarnation among our pre-Christian Celtic ancestors. A diversity of beliefs in what occurs after death can be found in all European pagan religions, and the Celts were no exception. The Faerie and Celtic faiths are integrally woven together. Long after the coming of Christianity, belief in the invisible world of spirits persisted in many variations. Many of the same workings attributed to Witchcraft are linked to those of the Fair Folk, including fertility or famine of the fields and livestock, weather control, healing or bringing disease, and the giving of ill or good luck. Is this a coincidence? What is the link between Witches and Faeries? In the confessions of Irish and Scottish peasants accused of Witchcraft, many report receiving their abilities from the elves and faeries. Isabel Gowdie, a 16th-century “wise-woman” from Morayshire, speaks of being in the “Downie-hills” with the “good people” and the “Qwein of Fearrie.” The Queen of Elves was mentioned by Andrew Man of Aberdeen in his interrogation before judges. Sometimes a cunning man or woman would be called to help counter the ills of elfshot, a disease caused by the angry magick of elves. Propitiation was a common preventive measure when dealing with the Faeries. The pouring of a libation of ale or cream was a popular offering. In the beginning of this century on the Isle of Lewis, farmers would wade waist deep in the sea and make an offering to Shoney for a bountiful seaweed harvest. The Tylwyth Teg were Welsh faeries believed to be spirits of Druids born before Christ who, being good souls, avoided hell and instead lived in the invisible realm of wandering sprites. In Ireland the fair folk were called sidhe (shee); a bean-sidhe (banshee) is a “White Lady” whose ominous presence and wailing cries foretold the death of a family member. In Aberdeenshire, Scotland, travelers left offerings of barley-meal cakes to the bean-sidhe at wells situated near two hills assumed to be her haunting grounds. Samhain (pronounced sarwen), meaning “summer’s end,” is the ancient Celtic new year feast when the veil between the worlds of the living and dead was thin. During the Christian era, as Hallowmas, it was believed to be a time when faeries were especially active. Who were the religious officials of the Celtic faiths? 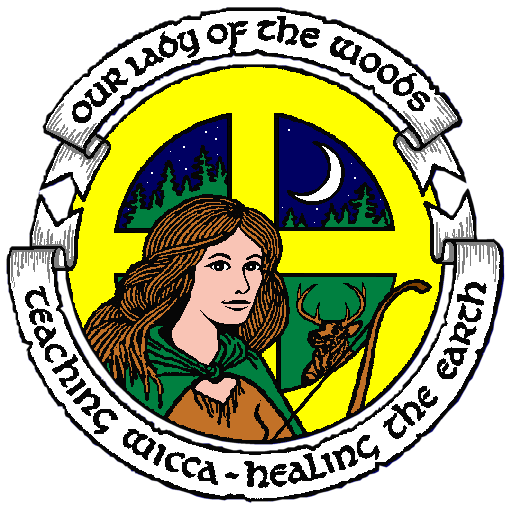 Druidecht, or the druidic arts as they were called by the Irish, appear to be the backbone of Celtic spirituality and society. The Celts believed that even as a poet may not speak before his King, a King may not speak before his Druid. In Greek etymology, druid means “men of oaks,” but the early Irish literature contains the word drui, suggesting a mixture of linguistic origins. Druidism was prevalent in Britain, Gaul, and Ireland and absent in Iberia and Galatia. Druids were oracles, judges, doctors, and philosophers of the natural sciences. In the Irish tales, Druids are also magicians whose feats resemble those of the Faeries and Witches. Bards were poets whose praise and satire was powerful enough to raise high or lower the status of a lord or king. In a society where the spoken word was a magick more powerful than the written one, poetic arts continued to be revered long after Christianity became the dominant faith. Despite living in a Christian culture, storytellers such as the Irish seanchies and the Welsh cyfarwyddion preserved the essence of our pagan past with their enchanting tales. Poetic inspiration, known as awenin in Welsh, was a power employed by the Awenyddion, soothe-sayers who became possessed by spirits to prophesy. Dynion Hysbys were wise men in Wales who consulted Faeries in their divination practices. In Brittany, until the seventeenth century, holy shrines were kept by the Fatuae, old women who taught rites centered on the maternal spirit of the springs where they were located. The filid in Ireland continued the poetic craft practiced by the Druids of old. Among the regalia of a filid was a silver branch, a wand decorated with apples, nuts, and bells which acted as a key to open the gates of the Otherworld from which the poet drew his power. Ollamh was a title given to a chief filid. For the most part, the religions of the past did not have names to identify them. Plus, in a Christian society, the majority of clues surrounding the survival of pagan practices centers around simple country people who, despite holding onto archaic customs, would very much consider themselves to be good Christians. So let’s look at some surviving folk traditions to see how pagan faith was observed and preserved. Pilgrims at Dungiven in county Londonberry would visit a holy well to hang rags in the bushes nearby and circle around a standing stone, bowing and reciting prayers after having washed themselves in the river Roe. In the nineteenth century, women were observed dancing around the well of Melshaach while an old woman sprinkled them with its waters to bestow fertility. Traditionally, dance and sacred theater are the vehicles used to commune with the divine, to reenact our life experiences. Mummers plays were performed from the mediaeval period into the modern era. The cast of characters consisted of Maid Marian, Robin Hood, Father Christmas, chimney sweeps, and milkmaids. The themes usually centered on the eventual combat of a hero and villain where the vanquished is revived. On May Day, two troupes of dancers met to enact a ceremonial battle between the Winter Queen and the Queen of the May. The Winter Queen was played by a man dressed as a old woman, while the May Queen was portrayed by a young woman. Often there was a procession with the Jack in the Green followed by the ritual marriage of the King and Queen of May. Morris dancing is also an honored tradition from our past. The Abbots Bromley morris dance is the most famous. Reindeer horns from the 11th century are featured in the dance. Many of the customs referred to above are a conglomeration of Teutonic, Roman, and Celtic influences. It was probably during the Tudor period that many of the dances and symbols became popular, since that is when they first appear to have been documented. These threads of lore weave our roots together, both past and present, making our history a thing alive waiting to be cultivated for our future. In the heart of the Celt, a deep ancestral fire burned, a place where worlds opened up and visions of what was sacred were revealed. We should continue to search for knowledge of the Celtic past and preserve it, as would our Celtic forebears. Bord, Janet and Colin. Earth Rites. Granada Publishing Limited, 1983. Chadwick, Nora. The Celts. Penguin, 1971. Cunliff, Barry. The Celtic World. St. Martins Press, 1990. Dames, Michael. Mythic Ireland. Thames and Hudson, 1992. Evans-Wentz, W. Y. The Fairy Faith in Celtic Countries. Carol Publishing Group, 1990. Green, Miranda. Celtic Goddesses. George Braziller, 1996. —–. Celtic Myths. British Museum Press, 1993. —–. Symbol and Image in Celtic Religious Art. Routledge, 1989. Hutton, Ronald. The Pagan Religions of the Ancient British Isles. 1991. Jones, Simon. The World of the Celts. Thames and Hudson, 1993. Stewart, R. J. Celtic Gods, Celtic Goddesses. Blandford, 1990.